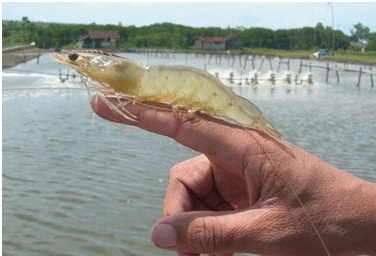 In general, there are four different shrimp aquaculture practices, i.e. traditional or which also known as extensive farms, semi-intensive, intensive and ultra-intensive or fully integrated system, in Indonesia something like Tambak Inti Rakyat. Basically, these four categories are divided according to their stocking densities and management arrangements. In Indonesia, the majority of farmers apply to traditional/extensive but the production level is less than semi-intensive and intensive farmers. One of the reasons is the traditional / extensive farms rely on natural conditions and no fertilizer. However at this time there is also an extensive farms started using fertilizer so their productivity also improved. They usually construct large pond in coastal areas. Most of them learn self-taught, only a few trained on aquaculture practices. These farmers, individual or family group used their own capital because lack of access for credit. Operational cost not so high because they hire only few labors to help. Often mangrove forest or salt flats they are using for pond construction. Water exchanges usually rely on high tide conditions, this makes the ponds quite vulnerable if the weather is bad (flooding or excessive rainfall). Real traditional farmers, they are completely dependent on natural tidal entry for seed, feed and water exchange. In general, the operational cost is higher than extensive farms because of they have more employees and need to buy aerator and so on. We can say that semi-intensive pond is improvement of extensive ponds, water treatment is better, they are using water pump. With higher stocking rates than extensive, farmers are dependent on formulated feeds to augment natural food on the ponds. Required high capital because they have to make the construction of ponds and buy all the necessary equipment and manpower skilled in the shrimp aquaculture. Intensive farming conducted in small pond with high stocking densities as well as high inputs of formulated feeds. Aerator makes the addition of oxygen to the water which allows higher stocking and feeding levels, therefore the production is high. However, the risk of disease can also be a serious problem in intensive farming, for example if water is taken from one pond to another for reused. Well honestly I’m not really expert on aquaculture, i just started to learn last year. I think for small traditional hatchery of black tiger is possible to make it in your backyard (5x5m), just for baby shrimp…. I guess you need bigger area to make black tiger shrimp pond.